There’s one thing I’ve learned over the years: you should always ensure that your face is moisturized. This simple fact is often not fully understood by people because they wear makeup or they are afraid of over-moisturizing and causing acne, but keeping your face moisturized has a lot of advantages. It reduces your chance of developing more wrinkles and it also reduces the appearance of your current wrinkles. Additionally, it can improve your complexion and it can actually reduce your chance of developing acne. So what’s the best way to moisturize the face? Well, you can always use oil-based moisturizers that hydrate using chemicals like petrolatum and natural substances like lanolin, but these can actually clog the pores. Alternatively, you can go with an oil-free moisturizer; these won’t clog the pores and will keep the skin hydrated without the need to plaster greasy materials on your face. 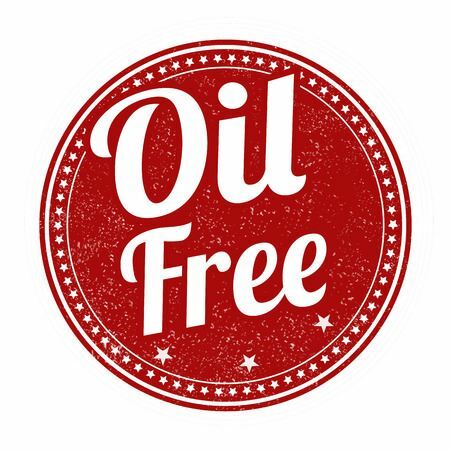 In fact, in my experience as a person who is prone to acne, oil-free tends to be better. I’ve created this guide so that you can know which oil-free face moisturizers are best for your face. If you have combination or oil-prone skin, oil-based moisturizers simply aren’t worth the trouble, especially if the weather outside is hot. That being said, going moisturizer-free actually will cause your skin to become oilier, which can actually promote the formation of acne. So, what’s the alternative? Oil-free moisturizers provide hydration without blocking the pores when it’s hot out. Using these types of moisturizers will cause your skin to feel refreshed. They accomplish this by using natural substances like hyaluronic acid to act as humectants for your skin. Humectants draw water out into the surface of the skin, which is quite different than oil-based moisturizers that add grease to the skin. The result is a more natural moisturization for the facial skin that serves to inhibit wrinkles and keep the skin looking soft and young. Keeping up with your facial moisturization is easy because you’ll only have to apply your moisturizer twice daily. When you wake up in the morning, you can easily make it part of your daily process; in fact, adding moisturizer to your face is perfect when you’re first out of a hot shower. The steam from the shower opens the pores, which means that the humectants won’t have to take as long when they’re bringing the moisturization to the surface of your skin. The second time that you’ll want to moisturize your face with your oil-free moisturizer is right before you go to bed. Remember to apply it about a half an hour before going to bed; this will allow the moisturizer to work into your pores so that it doesn’t just end up on the pillow. It’s important to understand that skin is porous. While it may feel solid and more like a wall than a sponge, skin absorbs any liquid that’s placed on it; it doesn’t matter if it’s natural or man-made. This is why it’s very important to use natural substances in the skin, especially considering that heightened exposure to chemicals on the skin can cause issues. In fact, the U.S. Food and Drug Administration hasn’t evaluated for safety every chemical that is used in cosmetics, which means that over time, toxic chemicals can affect your complexion or even your health. This is why natural, non-toxic substances are always going to be best for the health of your skin. This means limiting fragrance and selecting products that are responsibly formulated. 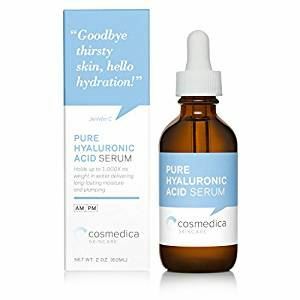 In our review section, the majority of the products that we’ll be covering contain hyaluronic acid. As we mentioned previously, this chemical, which occurs naturally in the human body, serves as a humectant. This means that it draws moisture to the surface of the skin, but what makes this particular ingredient so popular in oil-free moisturizers? 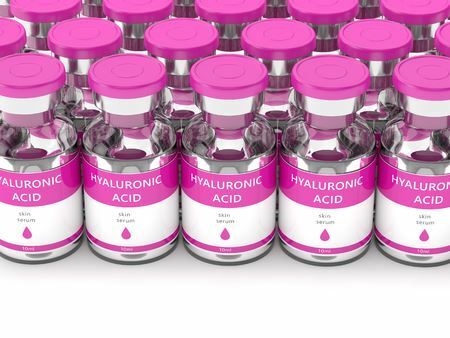 First, it’s important to understand that hyaluronic acid isn’t technically an actual acid. It’s a sugar that has spongy attributes. In fact, the molecules can hold a lot of water, which is why it’s as effective as a humectant. 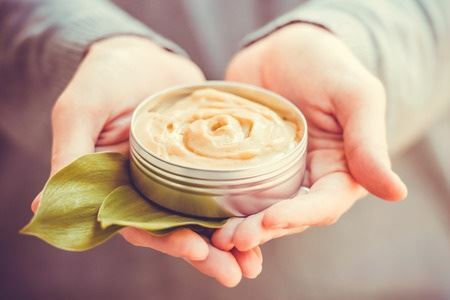 While the chemical isn’t great for actual moisturization because its molecules are a little too large for direct absorption, its properties that bring water to the surface have made it such a popular choice in natural cosmetics. Additionally, the substance is also used in injection form during cosmetic surgery, and it even has the ability to aid in the healing of wounds like burns and ulcers on the skin. It’s a fairly complex and useful substance that may have some use as a way to ward off the effects of aging. The sun can dry your skin very quickly, which is why a little bit of UV protection is very useful in a natural oil-free moisturizer. Some products use natural antioxidants to fend off the sun’s rays, and others use naturally occurring plant enzymes. Your moisturizer shouldn’t contain phthalates, parabens, or any other synthetic substances. These and other chemicals can have a long-term effect on your skin. Phthalates have even been linked to a series of issues. While many natural formulations have a naturally good smelling scent, try to avoid moisturizers that utilize chemicals to create a fragrance. These can trigger allergic reactions and contribute poorly to your health. It’s safe for those with sensitive skin. Key Ingredients: hyaluronic acid, benzyl alcohol, distilled water. It has a pleasant fragrance that’s obtained from botanically-derived benzyl alcohol. The product uses dropper for application to the skin. It’s clinically formulated to plump the skin. It’s a bit too watery. It doesn’t protect against the sun very well. The serum doesn’t have many anti-aging properties, though it can work to limit wrinkles. This product is best for those with sensitive and oily skin that want to moisturize simply. It’s safe for sensitive skin, but those with oily skin may have trouble. Key Ingredients: hyaluronic acid, botanicals, green tea, aloe. It has all-natural components like green tea, cucumbers, papaya, and gotu kola extract. Alba Botanica never tests on animals. It doesn’t have dedicated SPF protection. The jar is a bit small. Anyone who wants a natural smelling fragrance who doesn’t want to use a moisturizer that is oil-based. Key Ingredients: hyaluronic acid, vegetable glycerin, dandelion leaf extract (Vitamin E). This is a great product to reduce the aging of the skin caused by the sun. It can heal sunspots on the skin. Re-balances melanin regulation in the skin. It uses botanicals to produce a great scent. The pump tends to deliver too much moisturizer. The smell can be a bit too strong. 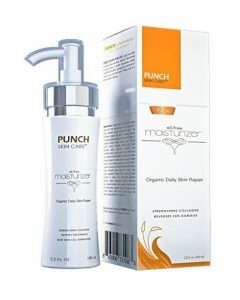 Anyone with dry skin that wants an oil-free moisturizer. It can even reduce the appearance of brown spots. Key Ingredients: sodium hyaluronate, southernwood, glycerin. This product is very lightly scented. It also has vitamins that are designed to replenish the skin. The product replenishes the moisture barrier while you sleep. Despite its oil-free formulation, it can feel somewhat greasy. There’s only 2.5 ounces of product. Anyone that is seeking a product that deeply hydrates the skin and protects from sun damage. It’s great for those with sensitive skin. Key Ingredients: deionized water, aloe vera, Vitamin E.
This lotion restores your skin naturally. It moisturizes your skin and protects it from damage. It is great for skin allergies, eczema, and psoriasis. Sometimes you will notice a chalky residue on your skin. 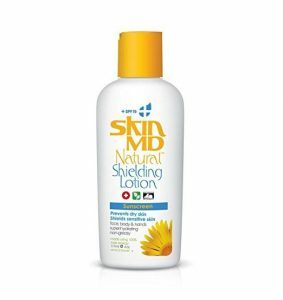 Though it does provide a bit of sun protection, it is only SPF 15. 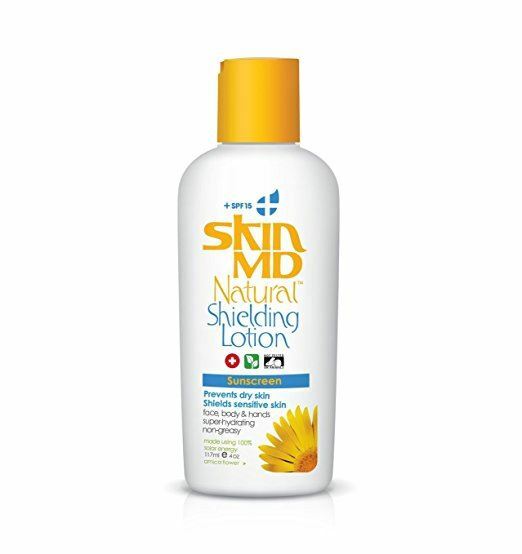 Anyone suffering from severely dry skin conditions. Each of the products that we’ve covered in this guide are designed to provide a great experience when you need a good moisturizer. Each uses natural ingredients and won’t add any toxicity to your skincare regimen. 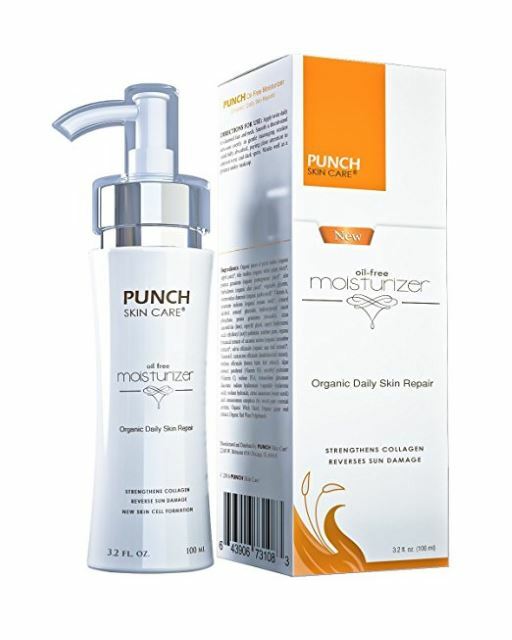 If we had to select a clear winner out of the products that we reviewed, it would be the Punch Skin Care Organic Skin Repair Oil-Free Facial Moisturizer. 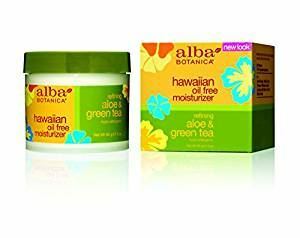 This product uses a wide variety of plant-derived ingredients to moisturize your face, and it even has the ability to heal and reduce dark spots on your skin as well. In addition to this, it also provides elasticity to your skin and can even promote collagen development. Overall, considering a list full of great products, this particular product edges the others out.